Deacon Sherman Kuek shares a very personal story of how he had on various occasions in his life been confronted by the splendour of truth, especially in the course of his academic labours. These discoveries eventually led him to an irrefutable realisation that the fullness of the Christian faith was to be found only in the Holy Catholic Church. Come, listen to the captivating account of how a Protestant theologian finds himself drawn into the fullness of the Catholic faith as he searched for answers to h﻿is lifelong questions, and let yourself once again be amazed at the beauty of goodness and truth found in the Holy Catholic Church. In this talk, Deacon Sherman Kuek, who used to be a Protestant theologian and preacher, shares what he discovered in the course of his theological research as a postgraduate student in seminary that compelled him to eventually ask to be received into the Catholic Church. These discoveries, he explains, are also the very truths that make it necessary for people to remain within the Catholic Church in order that they are guaranteed of the fullness of the faith as had been transmitted by Christ and His Apostles. The Catholic faith has an ancient liturgical tradition of praying the Lord's Prayer which lasts until today. It is virtually impossible for a practising Catholic to have no knowledge of this prayer. And yet, our utter familiarity with it can mean that we often take it for granted and fail to contemplate on what it actually means for the Christian life. In this talk, Deacon Sherman Kuek draws us back into the heart of this prayer which was given to us by our Lord Jesus Christ. Since the dawn of the Second Vatican Council (1962-1965), many Catholics had come to misperceive the Council as having overturned many dogmatic teachings of the Church. Until today, these misperceptions continue to linger. Deacon Sherman Kuek identifies a number of these "Catholic" teachings which are not actually Catholic, and he clarifies the mind of the Holy Church on these issues by bringing us back to the official documents of the Church. This is a world in which people often strive to attain positions of leadership. For them, leadership means power, control and prestige. In this talk, Deacon Sherman Kuek presents a very antithetical perspective of what leadership means in the context of Christian service. The call to Christian service is God's summons to being crucified with Christ, the giving of one's life so that others might live. The Lord's Prayer expresses the deepest prayers and hopes of God's children. In it, we say to God what he truly desires us to say to Him. God has truly taught us not just how to speak to Him but also exactly what to say to Him. 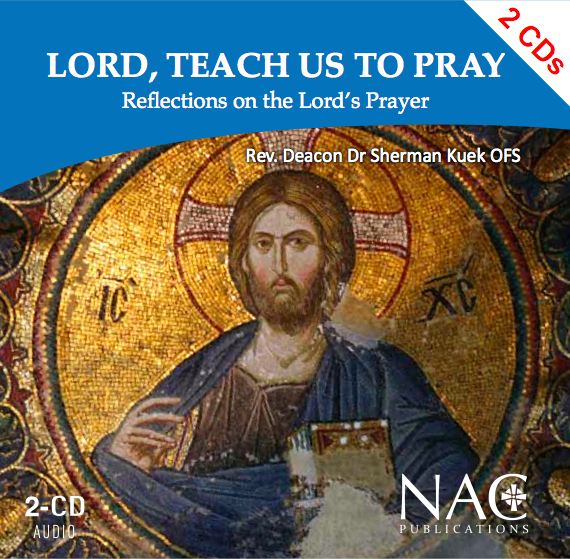 In this series, Deacon Sherman Kuek leads us to reflect more deeply on the different parts of the prayer given us by Jesus Christ our Lord. One of the greatest misperceptions regarding the Catholic faith is our devotion towards the Blessed Virgin Mary. Some Christians outside the Catholic Church often think that Catholics worship her in an idolatrous way. In this talk, Deacon Sherman Kuek explains what Catholics truly believe about Mary, this being outlined by the four Marian dogmas proclaimed by the Church. He explains how each of these dogmas is reasonable in God's economy of salvation. Among our Protestant friends, the salvation of Catholics has often been in question. In part, this stems from the common perception that Catholics are taught that they have to work in order to attain their salvation. In this talk, Deacon Sherman explains how the Catholic Church views salvation differently from the Evangelical Protestant view of it, and how a Christian may come to be saved. The Catholic Church's teachings on indulgences and purgatory have been held suspect for centuries, and many Catholics themselves struggle to come to terms with this in the face of pressure to adequately explain them. In this talk, Deacon Sherman Kuek provides a systematic explanation on these areas of Catholic teaching and helps listeners to make sense of why these beliefs continue to remain a part of the faith of the Church. COMMUNION OF SAINTS: ARE CATHOLICS GUILTY OF IDOLATRY? In this talk, Deacon Sherman Kuek addresses the question of whether the Catholic Church is in fact guilty of worshipping the Blessed Virgin Mary and the other saints as alleged by some Christians outside the Catholic Church. Tapping from Scripture and the Church Councils, he explains the basis of our relationship with the saints from the perspective of the Communion of the Saints as recited in our Creed. The Catholic Church teaches that the Word of God consists of not just Sacred Scripture but also Sacred Tradition. This believe is often criticised as untenable by others who do not hold to Catholic teaching. In this talk, Deacon Sherman Kuek explains how Sacred Scripture retains its authority only when Sacred Tradition is accorded its rightful place. He also explains historically how it is that the Catholic Bible has more Old Testament books than the Protestant Bible. Since the Protestant Reformation, the number of sacraments in the Church has come into question. The Holy Catholic Church continues to hold that there are seven sacraments and that these sacraments are instituted by Christ Himself as revealed in Sacred Scripture. In this talk, Deacon Sherman Kuek demonstrates from Scripture how it is that the seven sacraments are to be considered biblical. The Catholic Church is the only Christian institution that has a papal office which is so crucial and so universal. But this office is often misunderstood and wrongly interpreted. In this talk, Deacon Sherman Kuek explains from Scripture and Tradition how this office came to exist and why its incumbent is accorded a position of primacy among all bishops. If the Holy Mass is a sacrifice, are we then crucifying Christ repeatedly whenever we celebrate the liturgy? Furthermore, is the Eucharist merely a symbol of Christ as some non-Catholic Christian say? 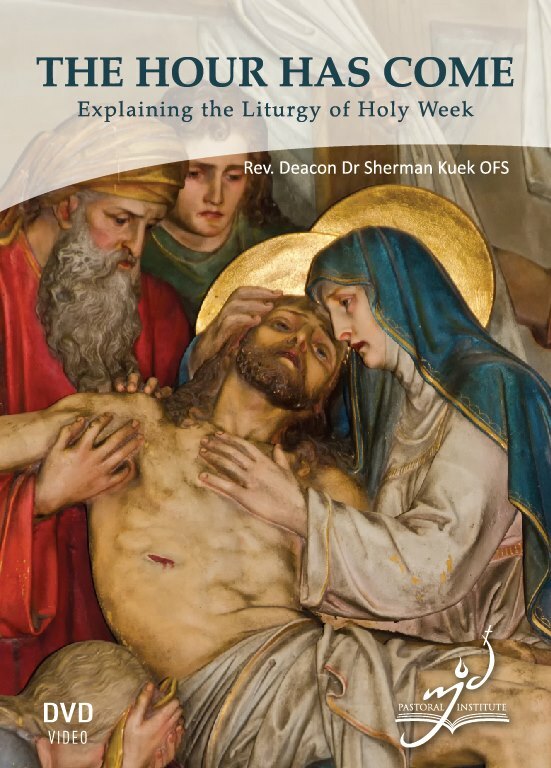 In this talk, Deacon Sherman Kuek explains why the Church preaches Christ crucified at the Mass and how it is that Christ is present in the Eucharist. Selama ini, umat Kristian kerap ditanya tentang kepercayaan kita terhadap Yesus Kristus sebagai anak Allah. Dalam ceramah ini, Dikon Dr Sherman Kuek menangani soalan ini dengan sistematik untuk memastikan bahawa umat Kristian mempunyai keyakinan terhadap keilahian Yesus. ​In this introductory instalment of comparative studies between Catholic, Orthodox, and Protestant Christians, Deacon Sherman Kuek identifies and explains three major schisms in the history of Christianity that have resulted in Christianity's configuration worldwide. He identifies how, from a Catholic perspective, groups of Christians had left the Catholic Church in the 4th century, the 11th century, and the 16th century, thereby resulting in the existence of non-Catholic Christians today. ​In this instalment of comparative studies between Catholic, Orthodox, and Protestant Christians, Deacon Sherman Kuek explains how the different major groups of Christians have different ways of depositing their faith and transmitting it to subsequent generations of believers. They also have different ways of speaking about and propagating their faith. Some focus on a more intellectual way of analysing their faith, while others have a more experiential focus on their faith. ​​In this instalment of comparative studies between Catholic, Orthodox, and Protestant Christians, Deacon Sherman Kuek explains how the different major groups of Christians have different ways of understand the Trinitarian nature of God. Although almost all traditional Christians have a firm believe in God as the Holy Trinity, they tend to describe this understanding rather differently one from another. This is particularly true of Eastern Christians as opposed to Western Christians. However, these differences need not necessarily be perceived as conflicting with one another. ​In this instalment of comparative studies between Catholic, Orthodox, and Protestant Christians, Deacon Sherman Kuek explains how the different major groups of Christians have different ways of worshipping God. While the historical groups of Christians tend to be sacramental in their expression and theological beliefs, the Reformation-based communities are increasingly distant from traditional ways of worship. There are also differences in prevalent practices such as prayer to the saints and prayers for the dead. These differences stem from radically different understandings of the Church. ​In this instalment of comparative studies between Catholic, Orthodox, and Protestant Christians, Deacon Sherman Kuek explains how the different major groups of Christians have different ways of understanding what salvation means and how one is to be saved. These differences also include the various ways of perceiving afterlife realities such as heaven and hell. ​In this instalment of comparative studies between Catholic, Orthodox, and Protestant Christians, Deacon Sherman Kuek explains how the historical streams of Christianity continue with the traditional understanding of the Holy Orders, and why. There are however disagreements with regards to the role of the Pope in Rome. Deacon Sherman also goes on to explain how the newer Christian communities have increasingly taken a radical departure from traditional leadership structures. The practise of priestly celibacy in the Catholic Church is one that is very ancient. But this practise has come under much scrutiny and even attacked especially in the issue involving sexual abuse of minors. In this talk Deacon Sherman Kuek explains how priestly celibacy is an integral part of our Sacred Tradition. He also explains how it is that the priesthood is not just a function but more so a configuration of its incumbent to the person of Jesus Christ. Holy Week (leading up to the Easter Triduum) each year in the liturgical calendar of the Holy Catholic Church is packed with various liturgical rites observed by the Catholic faithful. Being the highlight of the entire year's liturgical celebrations, the faithful join in with Mother Church as she once again sings her song of redemption. Deacon Sherman Kuek helps us to come to a fuller appreciation of the significance of all these rites and what they mean for our participation in the paschal reality, that is, the passion, death and resurrection of our Lord Jesus Christ. 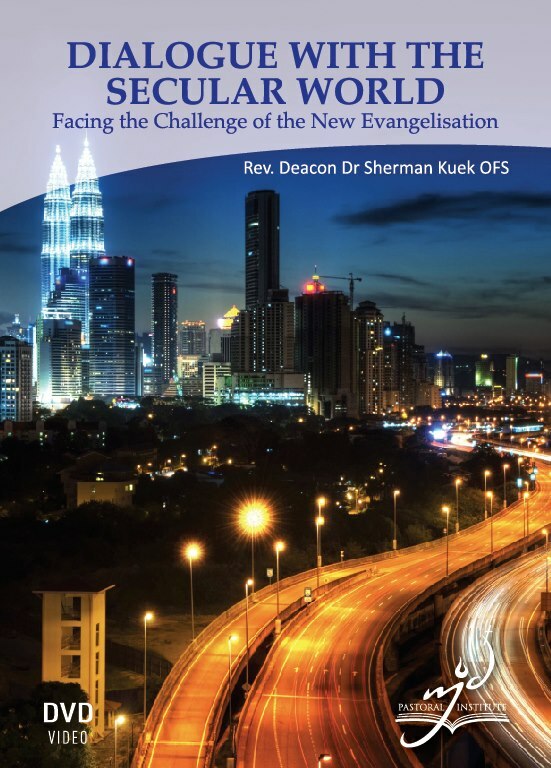 In March 2012, Deacon Sherman addressed the Conference of Major Superiors of Malaysia-Singapore-Brunei on the issue of dialogue with the secular world. This address was given in relation to the call of Popes John Paul II and Benedict XVI for a New Evangelisation. Deacon Sherman shares his perspective, with reference to the mind of the Second Vatican Council, on how the Church seeks to understand the reality of modernity and what is most needed for the formation of disciples of Jesus Christ in the modern world today. Because the recent popes have been calling for a heightened sense of responsibility among the faithful for a "New Evangelisation" of the world, the faithful are once again challenged to return to the heart of the Gospel message. With this, we call to mind the apostolic ministry of one of the greatest evangelists of all time, St Paul, who revolutionised the ancient world through his evangelisation activity. Who was St Paul, really? How much has he impacted Christianity as we know it today? And what did he really teach in his multiple volumes of letters written to the Christians in various parts of the world? And most importantly, what do his teachings mean for us? This six-session series of talks journeys with its audience through an intriguing study to discover who the Apostle Paul was and what his life project was about, in order that we too may be bearers of this very Gospel taught by our Fathers. A workbook is also available for those who might want to refer to outlines while watching the talks (MYR16 / SGD8). There are many myths surrounding the ancient Catholic faith and its beliefs. People have various questions, even suspicions, about the Catholic Church's historical past, its handling of Scripture, its beliefs about Mary, the priesthood, the papacy and the Sacraments, among others. This eight-session course aims to help Catholics to better understand the Scriptural and theological bases for such Catholic beliefs which are usually difficult to explain. A workbook is also available for those who might want to refer to outlines while watching the talks (MYR16 / SGD8). Even the most commonplace situations in life offer lessons about God, humanity and creation. Theologian Dr Sherman Kuek identifies the movements of the Divine in our world, and shares how God still works through what often seem to be the harsh realities of life. These reflections also seek to capture some of the most profound paradoxes of the Christian life and faith, which many disciples of Jesus Christ struggle to grasp. You will be challenged to attain a spiritual understanding that transcends the superficial laws of everyday life, in the assurance that the ways of God are higher than our ways. Filled with extraordinary depth of thought and many provocative statements, The Master's Voice will draw you into a deeper participation in the life of the Holy Trinity. Faith Speaks is Deacon Sherman Kuek's second book. It is a collation of articles in which he addresses a number of issues that are foremost on the agenda of debates taking place among many theologians and activitists in the Catholic Church. He delivers the verdict of the Church on a variety of issues, some of which are the ordination of women to the Holy Orders, economic crisis, citizenship, leadership, ecumenism, liturgy and obedience, amongst others. These essays are theological in nature but easy to read. Since the Protestant Reformation, the seven sacraments of the Catholic Church have been challenged, and therefore, examined over and over again by the Church. The conclusion of these repeated investigations has been that the seven sacraments of the Catholic Church have solid Sciptural basis. In this booklet, Deacon Sherman Kuek seeks to explain how we can find the seven Sacraments in Scripture. 3) Teaching children to dialogue with the world.